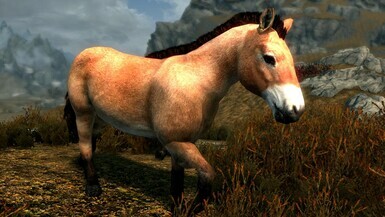 Aurochs are a large species of cattle, living on big herds on the tundra, they are wild animals that can't be tamed. 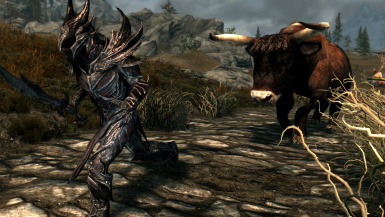 Aurochs are known to have very aggressive behaviour, and killing one is seen as an act of courage in nordic culture. 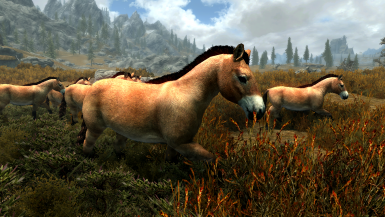 Wild Horses are a small breed of horse that also lives on herds on the tundra, but they are completely passive. 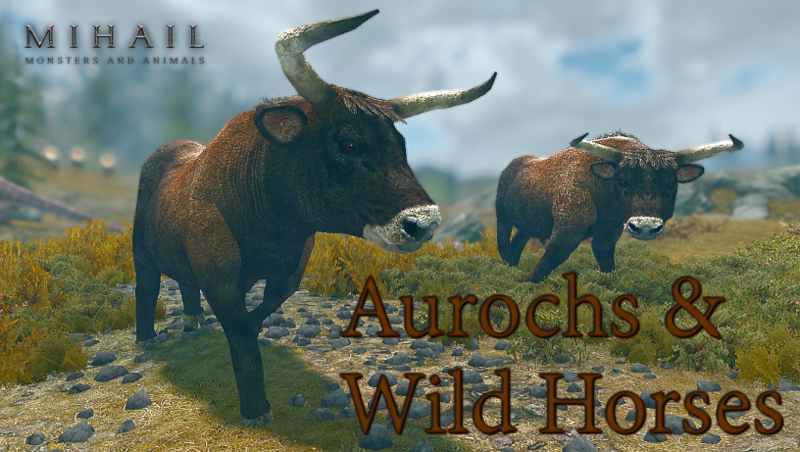 Aurochs are a really large species of cattle, living on big herds on the tundra, they are wild and dangerous animals, that can't be tamed, specially the big bulls. 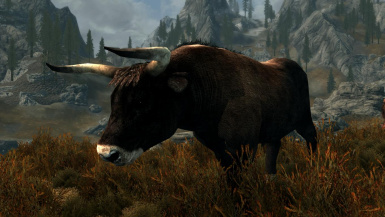 Aurochs also have several features not often seen in domestic cattle, such as lyre-shaped horns set at a forward angle, a pale stripe down the spine, and different color according to the gender. 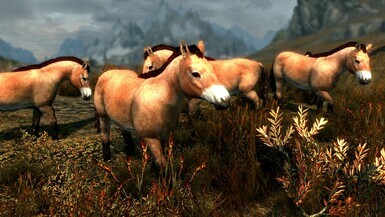 Males are black with a pale stripe down the spine, while females and calves were reddish. 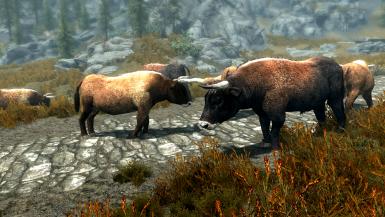 Aurochs are also known to have very aggressive behaviour, and killing one is seen as an act of courage in nordic culture. Auroch Cows commonly will run when harmed, but the big bulls will not hesitate to charge on you, throwing you in the air with their big horns. 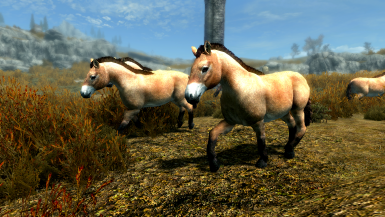 Wild Horses are a small breed of horse that also lives on herds on the tundra, but they are completely passive and will run when you approach. 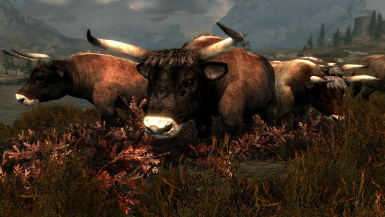 They can be hunted for meat, same for Aurochs, that also drop valuable auroch hide.